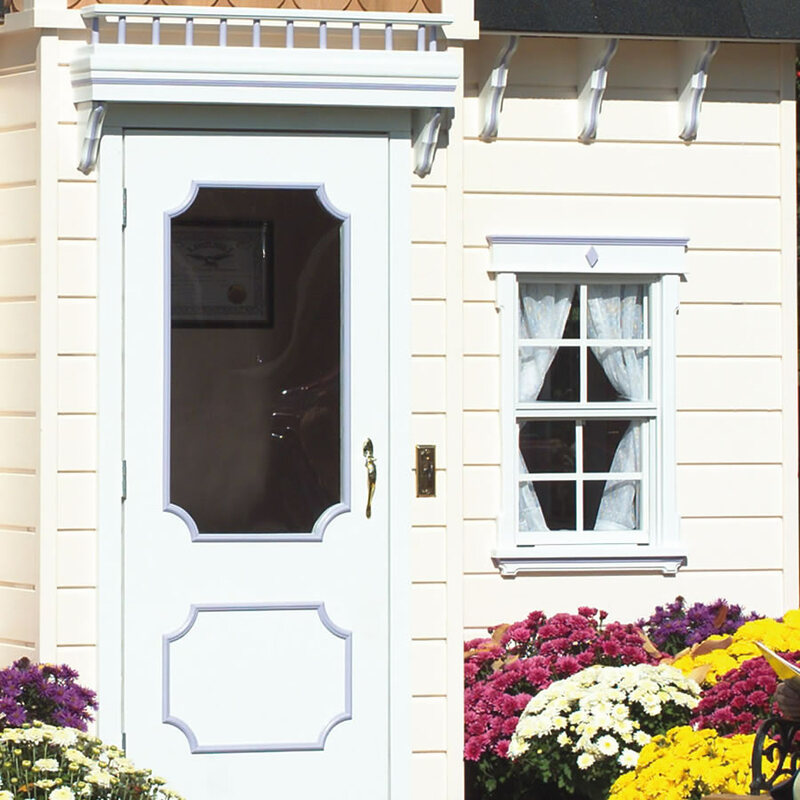 Price: $9,499.00 Victorian Playhouse Finished Inside and Out - This adorable playhouse has all the details of a true Victorian home scaled down to child size. The tower entryway includes scalloped cedar shingles, a stained glass window, skylight, and door with decorative molding. 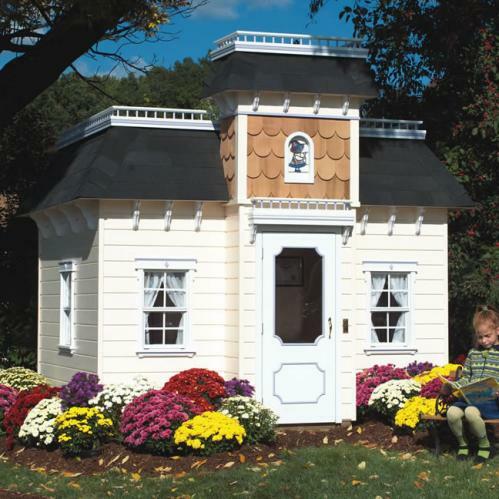 Corbles, roof rails, and detailed window trim enhance the beauty of this Victorian style playhouse. Inside, visitors will be wowed by simulated wood floors and the fully painted interior, complete with a delicate heart-and-swag border. A shelf near the ceiling is perfect for placing special decor items. 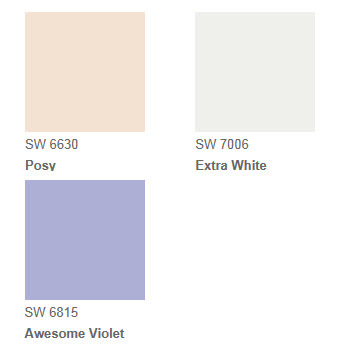 The standard version of the Victorian Mansion Playhouse comes painted in Sherwin-Williams colors Posy, Extra White, and Awesome Violet, as shown. The interior walls are painted the same color as the exterior siding. Custom colors and sizes are available. We can even add electricity, air conditioning, and a faux fireplace to this luxurious playhouse. Full Description Victorian Playhouse Finished Inside and Out - This adorable playhouse has all the details of a true Victorian home scaled down to child size. The tower entryway includes scalloped cedar shingles, a stained glass window, skylight, and door with decorative molding. 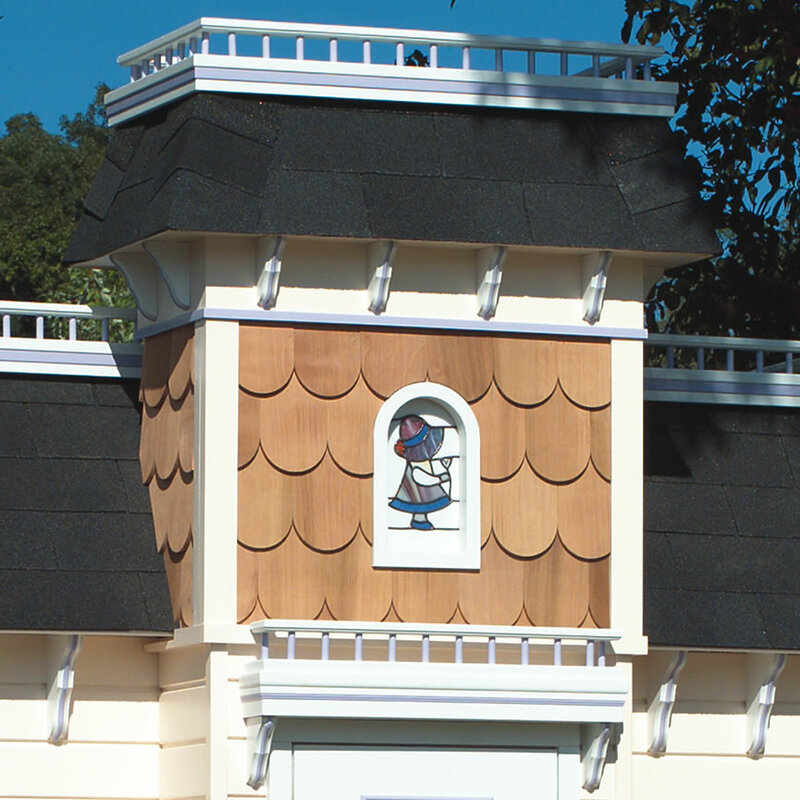 Corbles, roof rails, and detailed window trim enhance the beauty of this Victorian style playhouse. Inside, visitors will be wowed by simulated wood floors and the fully painted interior, complete with a delicate heart-and-swag border. 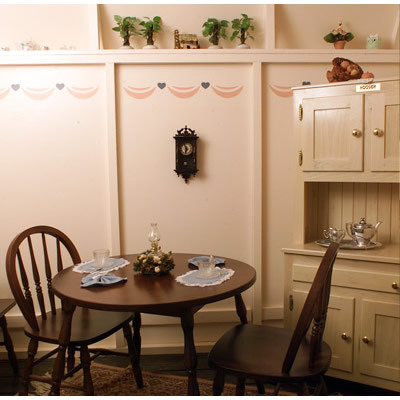 A shelf near the ceiling is perfect for placing special decor items. 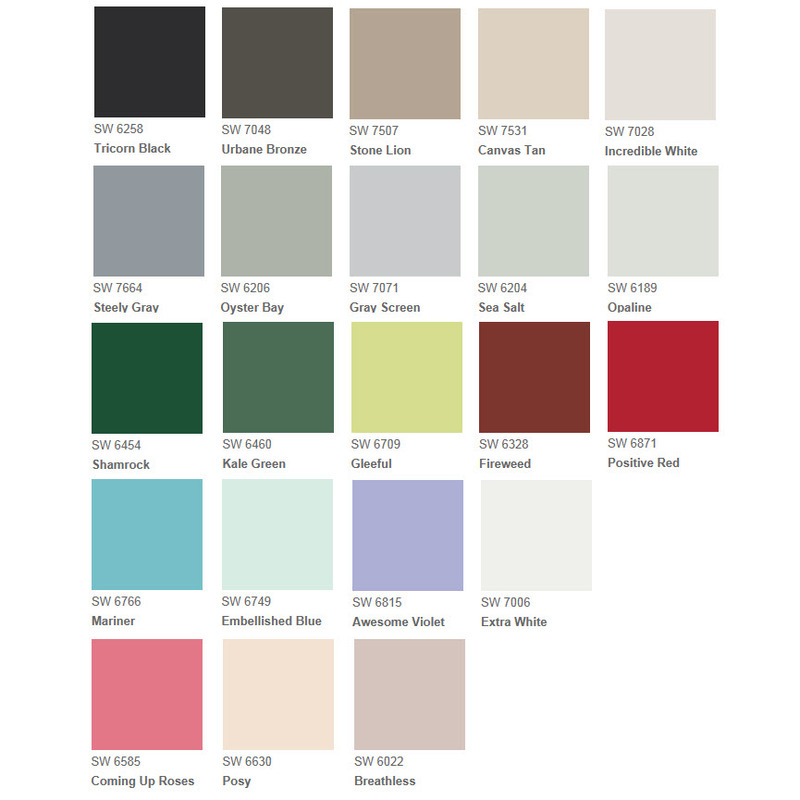 The standard version of the Victorian Mansion Playhouse comes painted in Sherwin-Williams colors Posy, Extra White, and Awesome Violet, as shown. The interior walls are painted the same color as the exterior siding. Custom colors and sizes are available. We can even add electricity, air conditioning, and a faux fireplace to this luxurious playhouse.